The food in New Orleans is different from all the other food we’ve come across in our travels. 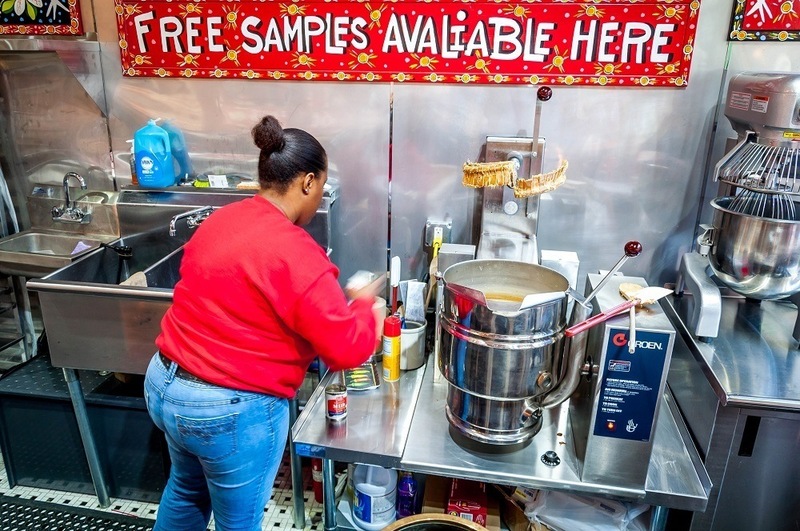 In the US, it’s unusual to encounter a region with such distinctive items, many of which aren’t found other places in the country, or at least outside of the South. 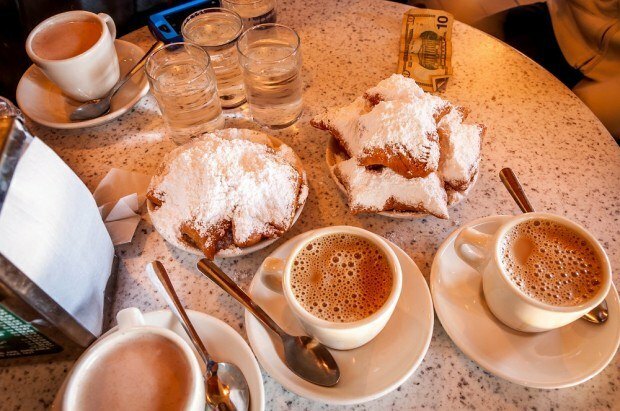 From the melt-in-your-mouth pralines to the poboy shops to the puffy, crispy beignets dunked in chicory coffee, the amount of deliciousness packed into every corner of this city is remarkable. Eating beignets (pronounced “BEN-yays”) in New Orleans is like eating pizza in Little Italy in New York. Classic, delicious, must-do. These pastries are a bit more like funnel cake than they are like donuts. But whatever you compare them to, they’re full of fried doughy goodness, doused in powdered sugar. The traditional way to eat this $2 plate of heaven is alongside a piping hot café au lait. On this trip, my mom, who visited this spot frequently as a young girl, suggested we try out the hot chocolate too. It was amazing and quickly made a breakfast treat feel like a dessert. So freaking good. Café du Monde in the French Market is the original spot for beignets. It’s open 24 hours a day and only closes on Christmas. But it can be absolutely nuts, so you’ll need to be aggressive if you see an open table. And you’ll need to be a little bit patient with the service, which is pulled in 1000 directions. But it’s so worth it. A hearty combination of ham, salami, Swiss, provolone, the muffaletta is a lunchtime staple. 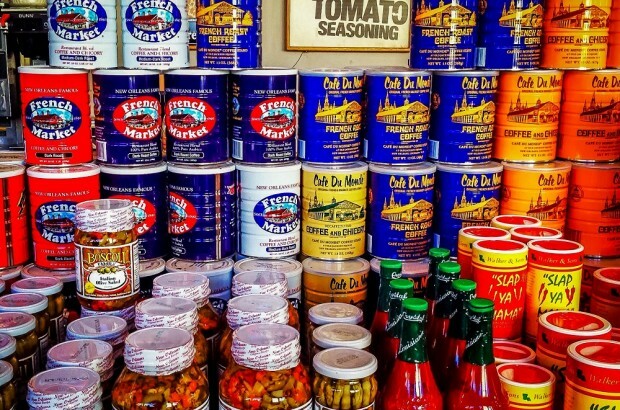 It’s most distinctive features — the olive spread and bread — are clear reminders of the Italian influences on the food in New Orleans. The huge sandwich is served on thick, round, crusty bread and garnished with spread made of pickled green and black olives and olive oil. 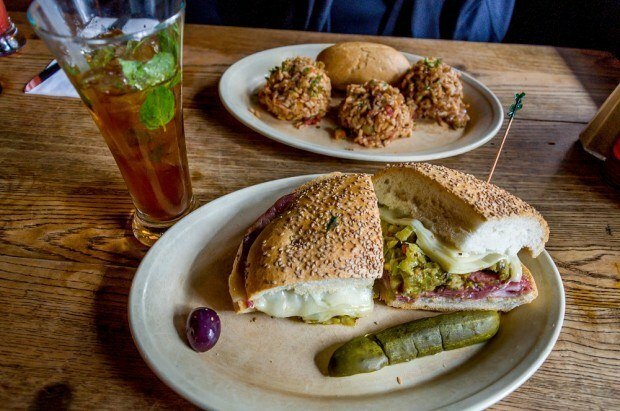 It’s so large, that most people order a quarter- or half-muffaletta for a meal. A whole one will hold you for days. Creole jambalaya was an attempt by the Spanish to make paella in the New World, and its origins are straight from the French Quarter. It is traditionally made in three parts: the vegetable trinity of onion, celery, and red or green peppers; meat such as chicken or andouille sausage; and rice. It is slow cooked so that the deep flavors infuse the rice. At it’s best, jambalaya is spicy, smoky, and full of flavor. With grandparents who lived in Louisiana, “PRAW-leens” were a staple of my childhood. These sugary, nutty confections will pretty much rot your teeth on contact, but their hint of maple/vanilla/caramel goodness makes them hard to pass up. 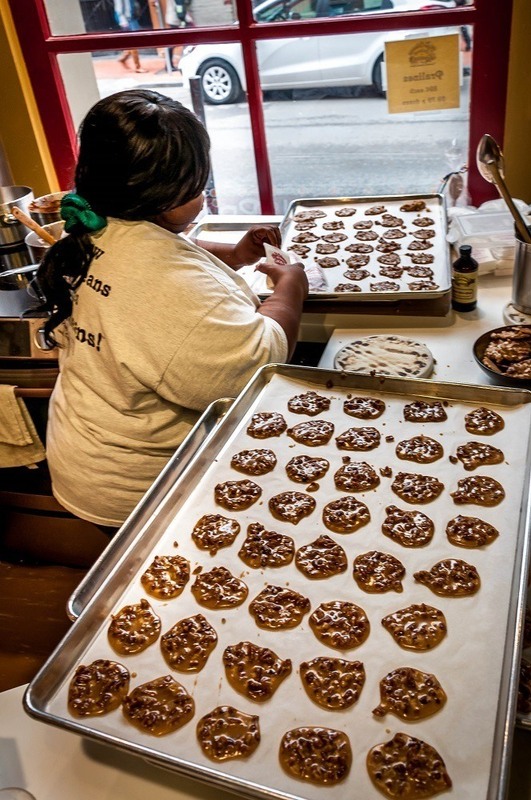 Stories on how the praline came to be vary, but most of them involve 17th-century French diplomat Cesar du Plessis Praslin. His chef developed a treat that included coating almonds in cooked sugar, which became popular with courtly guests. When the French ventured to the new colony of New Orleans, the desserts came along. In Louisiana, the abundant pecans were substituted for the almonds. A few other modifications were made and, voila, the praline! 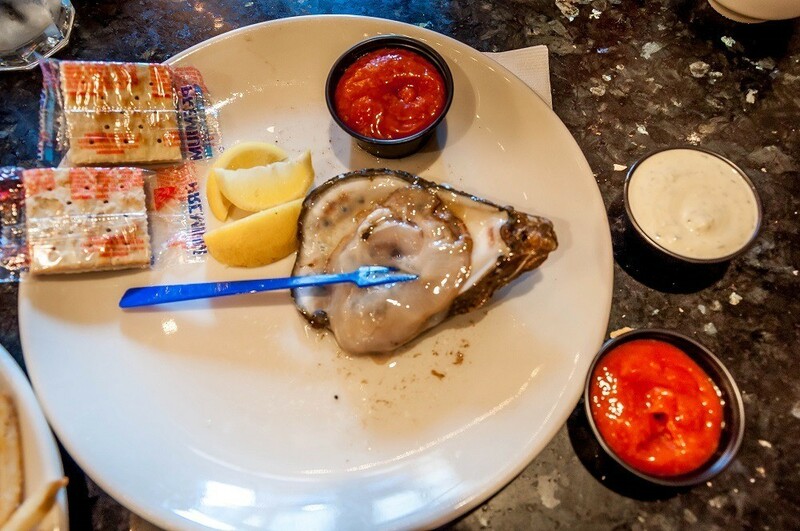 Raw and cooked oysters (baked, char-grilled, and other preparations) are both tremendously popular in New Orleans. 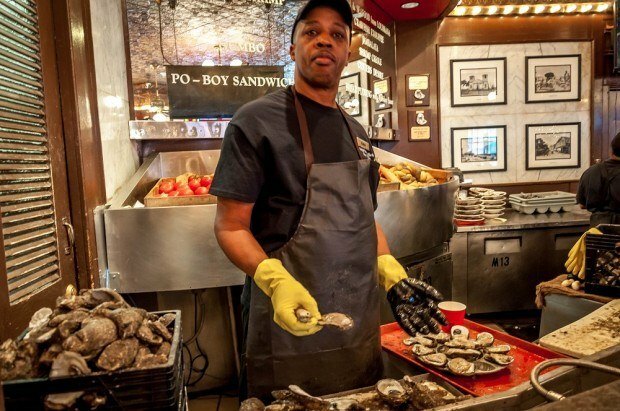 In fact, the city holds an oyster festival every year in early summer to pay homage to this city staple. But this trip was about the raw ones. The slippery, briny delicacy has been a favorite of locals and tourists for hundreds of years. So when our server at Desire Oyster Bar heard that Lance had never had one, she didn’t miss a beat. A freshly-shucked delight was on our table with all the accompaniments in less than three minutes. The standards for fresh oysters are clear – large, cold, and shucked so that dirt and shell fragments stay out – and this first adventure did not disappoint on any account. In some ways, a poboy is like many other sandwiches you might call hoagies or subs. 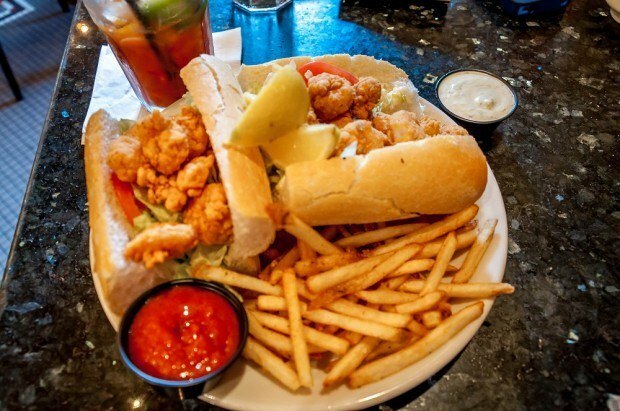 In the most important ways, though, poboys are distinguished by their freshly fried seafood and amazing French bread. Crusty on the outside and soft on the inside, you know you’ve got the right kind of bread if you spend half the meal wiping crumbs off your shirt. Because why would you want it any other way? In addition to the fried seafood like oysters, shrimp, crawfish, or catfish, the poboy also comes “dressed” with lettuce, tomatoes, pickles, and mayo. You want it all. 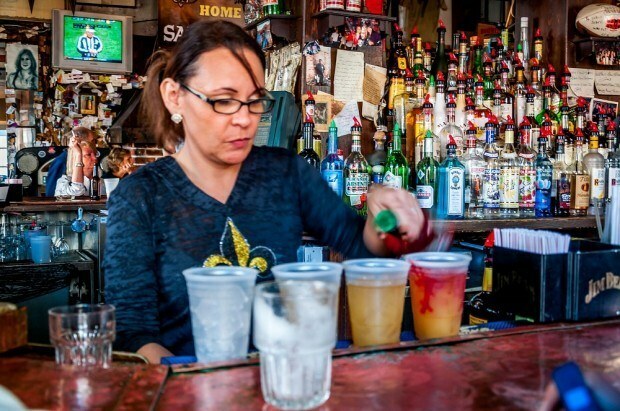 You can’t talk about food in New Orleans without talking about New Orleans cocktails. There are plenty of delicious concoctions in the finer (and somewhat less fine) establishments of the city. But one of the most ubiquitous drinks on the streets of the French Quarter is the hurricane. It was created in the 1940s by local bar owner Pat O’Brien as a way to help him get rid of the rum that local distributors forced him to buy in order to get more cases of more popular liquors like whiskey and scotch. The hurricane is sweet, made with rum, fruit juices, and grenadine. And because of its sweetness, its punch can sneak up on you. Go slow, or you might find yourself face down in the middle of Bourbon Street feeling like you got caught in a hurricane. What do you think about New Orleans Food: Sugar, Spice, and Seafood? Great post! Love the food in NOLA! I would go back just to eat…and drink. I’ll be there in a few days for my (I think) eighth visit. 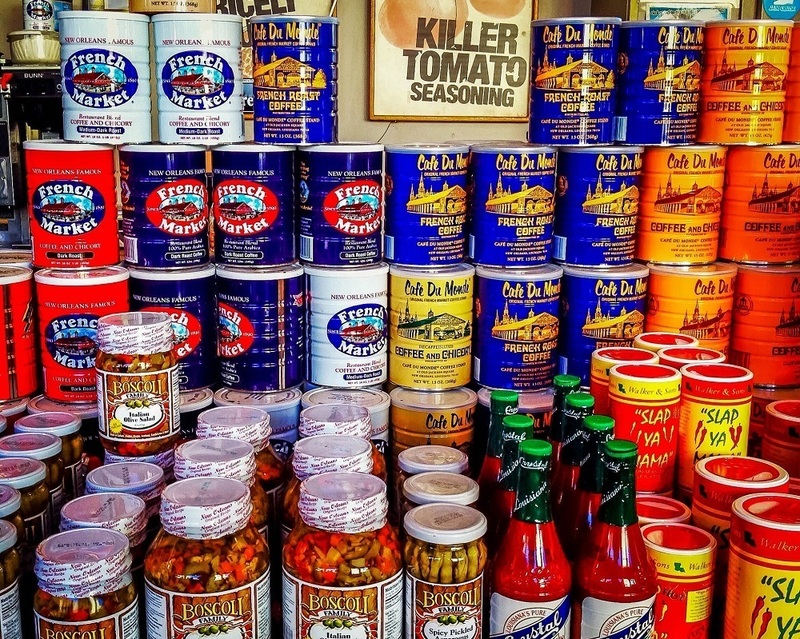 It never gets old reading about the great food of New Orleans. Jealous! Have a great time! Beignets. Enough said. Love it! I can’t wait to get myself to N’awlins! I’ve always wanted to go to New Orleans but now I have so many more reasons to go. Mmmmmmm! I just had some of those beignets myself. They were better than I could have imagined! Love! Didn’t need to read this before breakfast 🙂 Now I’m feeling super hungry!!! I’m starving now! For the best PoBoy I highly recommend Johnny PoBoy’s. It’s down in the Quarter, grab a poboy and an Abetta Amber – you’re set! Since you like oysters have you have grilled oysters? They are my new favorite.